Established in 1995, MIS Implants Technologies Ltd. is a global leader in the development and production of advanced products and innovative solutions aimed to simplify dental implantology. Through our state-of-the-art production facilities, MIS offers a comprehensive range of cutting-edge dental implants, superstructures, tools and kits, as well as extensive solutions for oral restoration and health. MIS is deeply committed to our core values of quality, service, agility and innovation, integrity and caring; reflected in every step of our work process and supported by over 300 dedicated MIS employees. 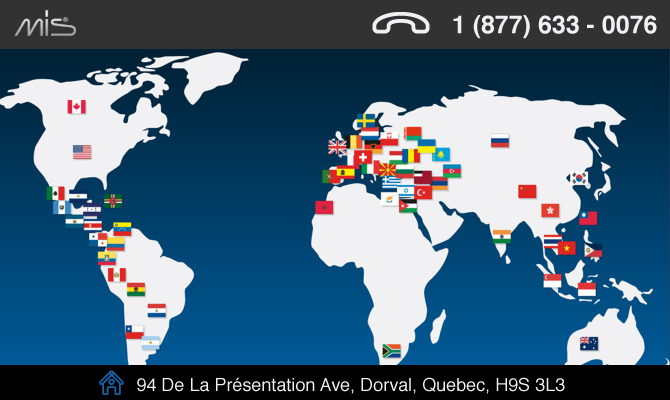 MIS products are distributed in over 60 countries worldwide through a well-established global distribution network. Standing behind MIS Implants are world-class scientists and engineers, devoted to the continued research and development of new progressive products and technologies to ensure our agile and innovative response to prevailing changes and challenges in implant dentistry. MIS Implants further conducts and supports on-going laboratory and clinical studies, performed in collaboration with many prestigious universities, scientific research institutes and dental clinicians worldwide. As part of our ongoing commitment to excellence, MIS products adhere to the most stringent international quality standards and regulations: ISO 13485:2003 – Quality Management System for Medical Devices, ISO 9001: 2008 – Quality Management System and CE Directive for Medical Devices 93/42/EEC. MIS products are cleared for marketing in the USA and are CE approved.